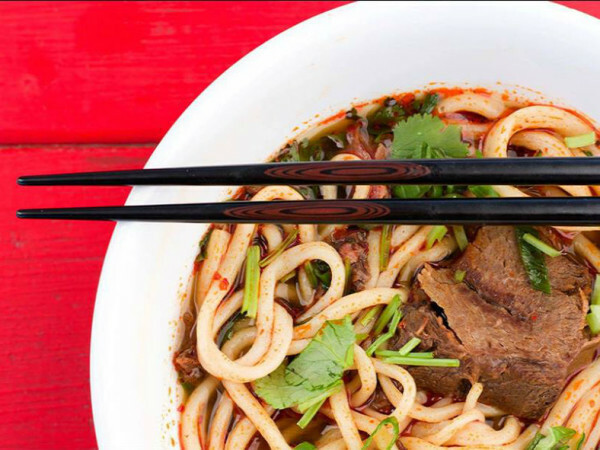 Richardson has a new noodle restaurant starring a renowned noodle guy. 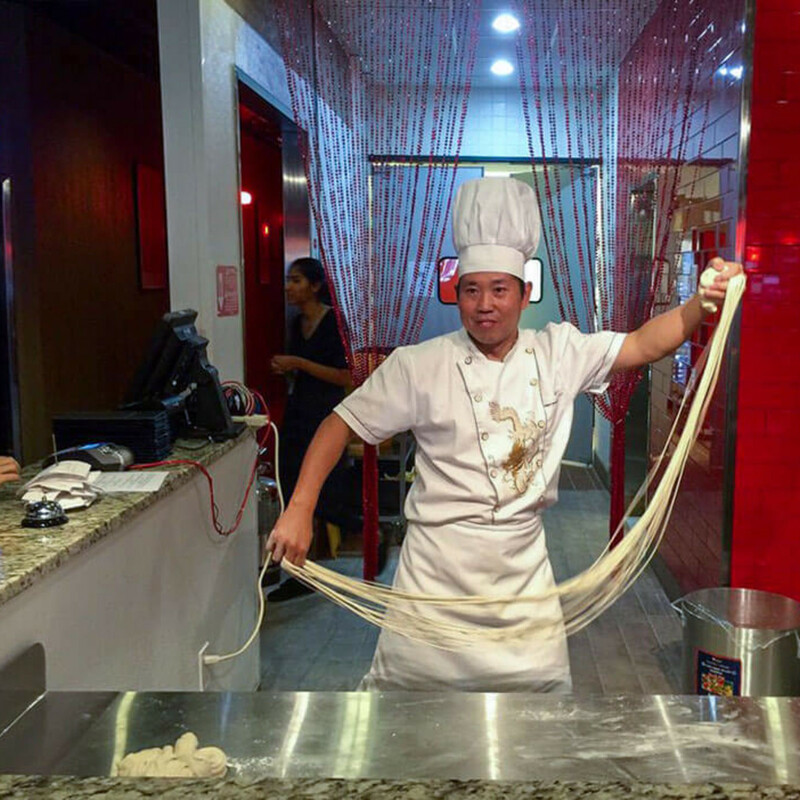 Imperial Noodle opened in early August with famed Zhang Xue Liang, aka Charlie Zhang, who was previously at Royal China, the longtime Chinese restaurant at Preston Road and Royal Lane. 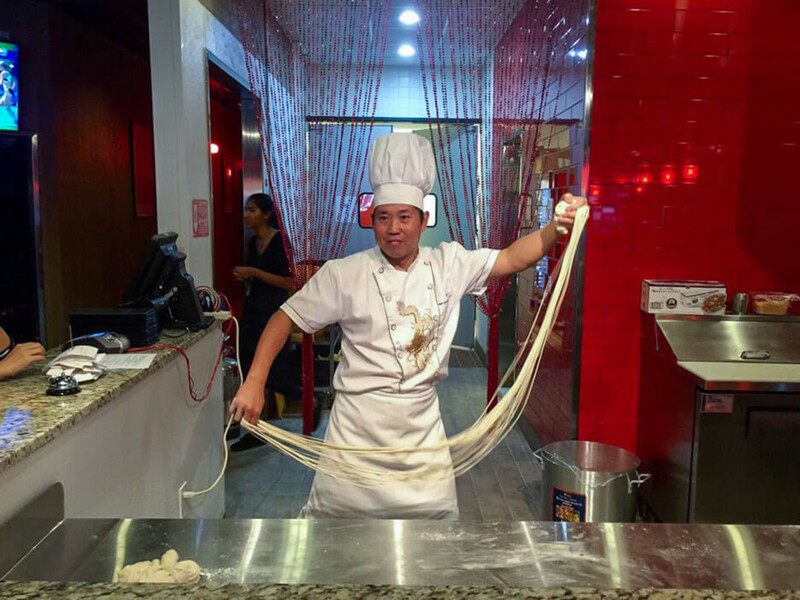 Zhang is back at it, doing hand-pulled noodles before your eyes for dishes such as beef noodle soup. "Charlie has been a chef for more than 30 years, he worked at Royal China, and has a lot of followers," says manager Eric Hyde. "It isn't just that his noodles are good. He puts on a show." 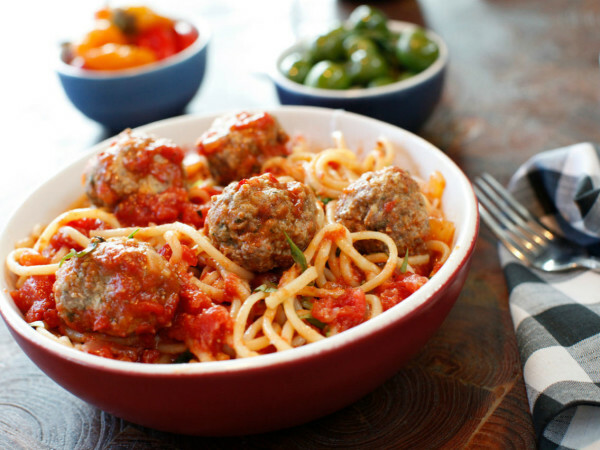 But there's more to Imperial Noodle than noodles. 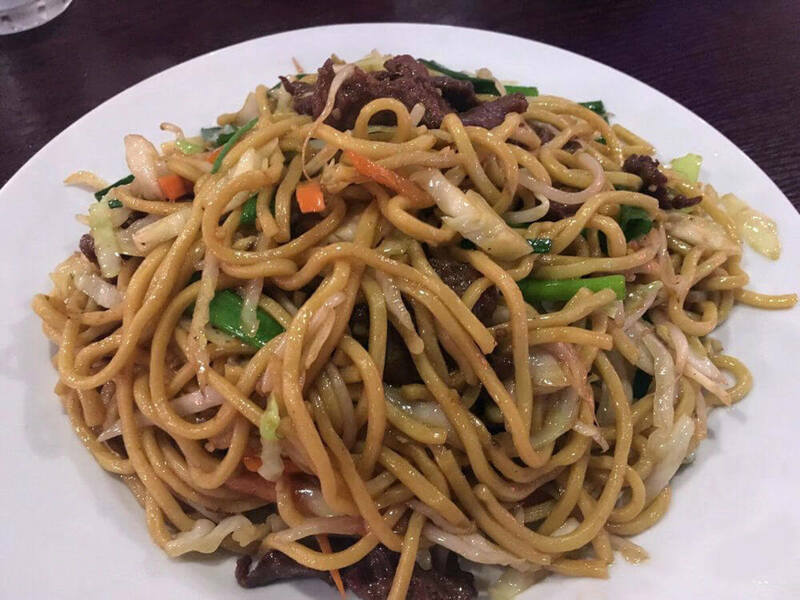 The restaurant also does other authentic Chinese dishes, as well as handmade dumplings with a wide variety of fillings, including pork, chicken, vegetable, and beef. 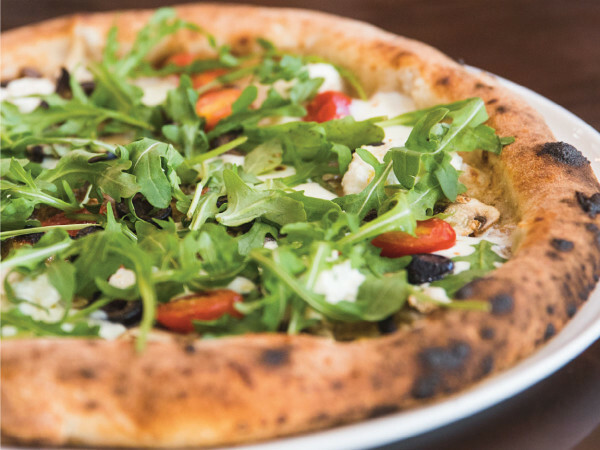 One great benefit is that you can get a variety in a single order. Other unique dishes include eggplant stuffed with pork, and a homey, satisfying dish called Chinese cabbage rolls, in which cabbage leaves form a wrapper around a filling of ground pork, diced green onion, chopped Chinese cabbage, and mushrooms, and then are steamed until tender. There's also another component that is wholly unique to a noodle place: a sushi bar. 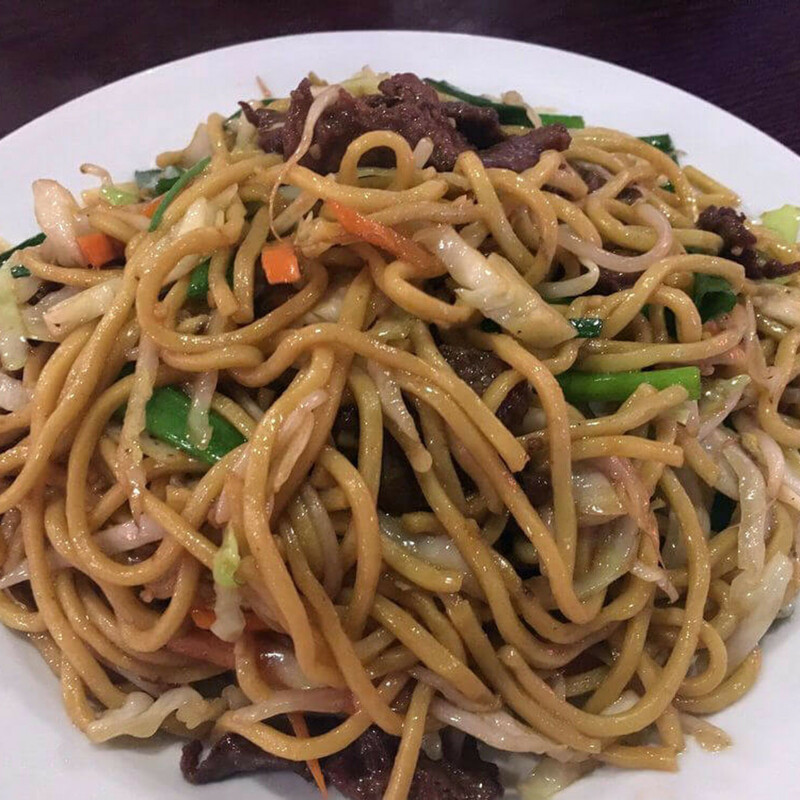 "We have authentic Chinese food, but we'd probably call ourselves Asian fusion, if only because we do have a sushi bar with a full range of sushi that's just as good as our handmade dumplings and hand-pulled noodles," Hyde says. "Everything we do here is well done. Everyone involved has a personal stake." The restaurant has been home to other restaurants, but has been given a glossy makeover with a gleaming granite sushi bar. They're doing beer, wine, and sake, too. "But it starts with the hand-pulled noodles," Hyde says.